Our supporters are a very special group of people, giving generously to support our students and researchers to make a real, lasting difference. We are very grateful for their amazing support. In recognition of those who give so generously through the University, we have a Supporters' Honour Board, acknowledging the wonderful support of our past and present supporters, based on cumulative giving. This Honour Board is also proudly displayed in the Great Hall at our Callaghan Campus at all major University events. In 1968 nine Singaporean teenagers came to study at the University of Newcastle under a Colombo Plan Scholarship Program funded by the Australian government. Forty years later in 2008 the same nine people decided they wanted to demonstrate their gratitude not only to Australia but also the University of Newcastle, and created the 1968 Singapore Colombo Plan Students Scholarship. They collectively raised $80,000 in funds to support a scholarship in perpetuity which would assist an Australian student enrolled in the second year in Faculty of Engineering and Built Environment. Bega cattle farmer Mr Joseph McBride was touched by the professional yet caring nursing his wife Pat received in hospital in her final days battling cancer. So much so, that he willingly agreed to his wife's suggestion of creating the Edith and Joseph McBride Scholarship in Nursing. 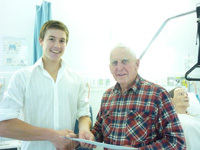 The $30,000 donation honours his beloved parents Edith and Joseph McBride (Snr), and offers one Central Coast student studying a degree in nursing at the University of Newcastle's Ourimbah Campus $1,000 per year for the three-year duration of their course. The Bill and Iris Burges Trust was established at the University in 2003 by their sons Steve and Bill as a lasting legacy for the Newcastle community. Both Bill and Iris devoted much of their working lives to the betterment of Newcastle, with Bill becoming Town Clerk in 1950, a position he held until his retirement in 1977. 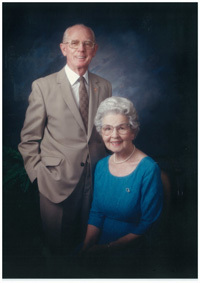 He was instrumental in much of the post-war municipal development in the city and its region and played a major role in establishing the campus of the University. The Bill and Iris Burges Trust funds a professorial position in medical science at the University. In celebration of 100 years of operation, Newcastle Permanent created the Newcastle Permanent Charitable Foundation in 2003. The Foundation offers funding for projects, initiatives and causes in areas of NSW including the Hunter that might otherwise not be realised because of a lack of funding. 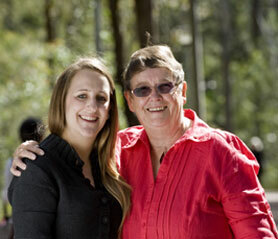 In 2017, Newcastle Permanent Charitable Foundation have provided funding through the University of Newcastle for volunteer group Out(fit), part of the Faculty of Engineering and Built Environment, to rejuvenate an outdoor space at local domestic violence refuge, Jenny’s Place, to create a safe, welcoming environment in which vulnerable women and children can begin their recovery journey. In 2017, the University of Newcastle was proud to be named among the Greater Charitable Foundation's community partners. In a three-year partnership, the Greater Charitable Foundation will provide $350,000 to support Healthy Youngsters Healthy Dads (HYHD), a ground-breaking program targeting healthy lifestyle behaviours in families. 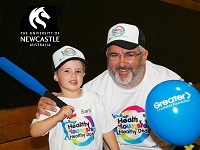 Developed by a multi award-winning team in UON's Priority Research Centre for Physical Activity and Nutrition, HYHD is the world's first family health program targeting fathers and their preschool-aged children. Greater Bank employees will also have the opportunity to participate in the program which closely aligns to the Greater Charitable Foundation's commitment to improving life outcomes. In 2018, UON will commence two multi-year partnerships aligned with nib foundation’s vision to help people and communities live healthier lives. 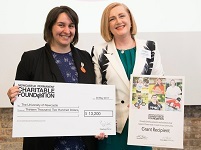 The foundation has generously committed a combined total of more than $1.4 million over three years, which will support two research projects aimed at providing technology-enabled solutions to improve young Australians’ eating habits. Professor Clare Collins will lead Nutrition For You (Nu4U), a multi-faceted, web-based resource to educate and motivate young Australian adults to eat more vegetables and fruit. Associate Professor Luke Wolfenden will lead Swap what’s packed in the lunchbox (SWAP-IT), a school-based communication app aimed at supporting parents to increase the nutritional value of school lunchboxes. 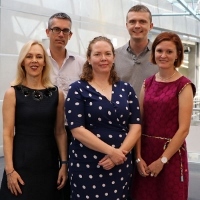 Researchers from the University of Newcastle were awarded a $1.7m grant from the Bill & Melinda Gates Foundation to develop a new technology system for assessing food and nutrient intakes of people who live in low and lower-middle income countries. The project brings together a range of experts from nutrition, dietetics and computer science to achieve major developments in technology-based dietary assessment. Easily and accurately measuring the nutritional adequacy of eating patterns will help to optimise health during critical life stages. The grant is an initiative of the Bill and Melinda Gates Foundation’s Nutrition Program which focuses on preventing deaths and burden associated with malnutrition. Jennie Thomas is helping both students and researchers achieve their dreams one donation - and one hug - at a time. Vera Deacon’s generous contributions helping to unearth, rescue and restore local historical collections.